Known as the Royal state of India, Rajasthan is a place where you will find a lot of forts and palaces. The state is also known for sharing their western border with Pakistan. Jaipur is the capital of the state and is known as the pink city. You will also find the Indus Valley Civilization here. Today, like most other countries in the world, India is a democratic country too. So, to create a government for the state as well as the capital, people have the right to vote. But for voting, they must have a proper voter id card. 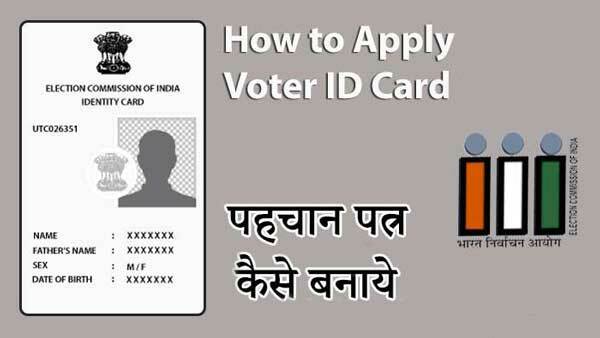 If you live in Rajasthan and do not know the process to apply for a voter id card in Jaipur, Jodhpur, Kota, Bikaner, Ajmer & Udaipur (Rajasthan), please check the below-mentioned details as they will help you in getting one. Visit the website of National Voter’s service portal. You can also click on the link to visit there. http://www.nvsp.in/. Use Google Chrome or Mozilla Firefox browser as the website works best on them. On the homepage, find the option ‘Apply Online for Registration of New Voter’. After clicking this, you will be redirected to Form 6, which you need to fill up. This is a universal form which is used for voter registration all over the country. Now, enter the personal details on the form. Do not enter any false information as it may lead to the cancellation of the form. Then, upload all the required documents in .jpeg format along with passport sized photograph. While doing all these, make sure that your age is over 18 years. At last, fill up the declaration and then submit the form. You will get a unique id, which you can note down for checking the status of your voter id card on the same website later. At last, take a print out of the form and submit it to the electoral office with Xerox copies of all required documents. They will then verify your form and after successful verification, your voter id card will be issued. There may be physical verification so be prepared for that. When everything is found correct, your voter card will be sent to your registered address via post or you can collect it from the electoral office by visiting there.